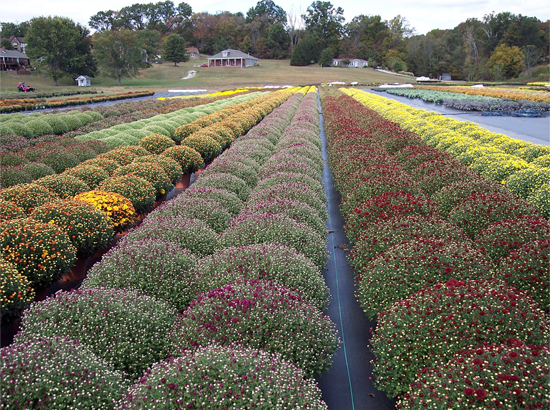 Here at HB Farms, Mums are us! 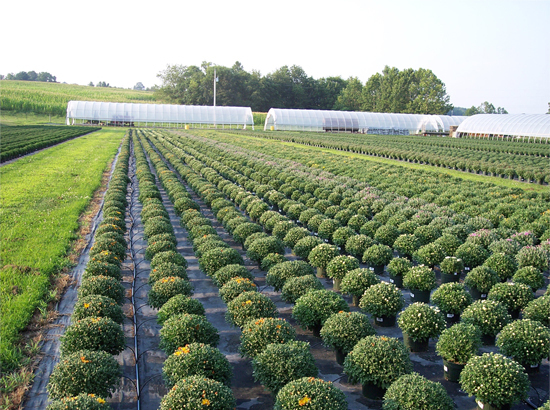 We're the largest grower of potted field grown Hardy Chrysanthemums south of Indianapolis, Indiana. 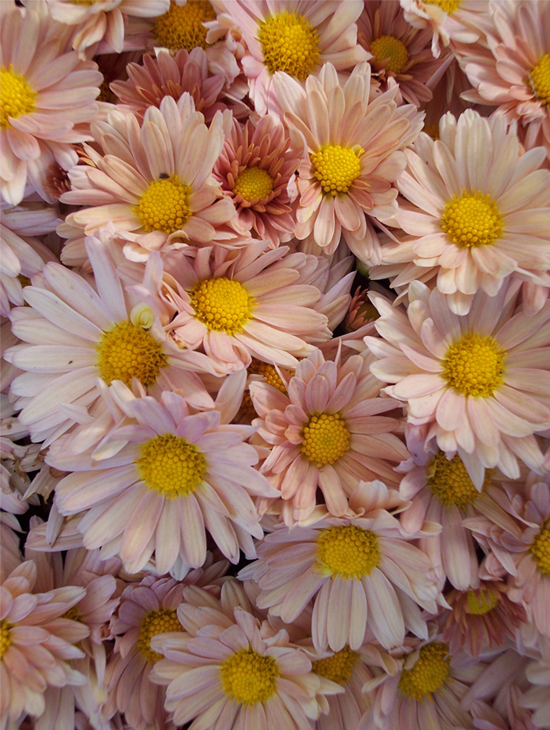 This year, we have nearly 80,000 chrysanthemums from which to choose. We offer 100+ varieties with eight different colors. 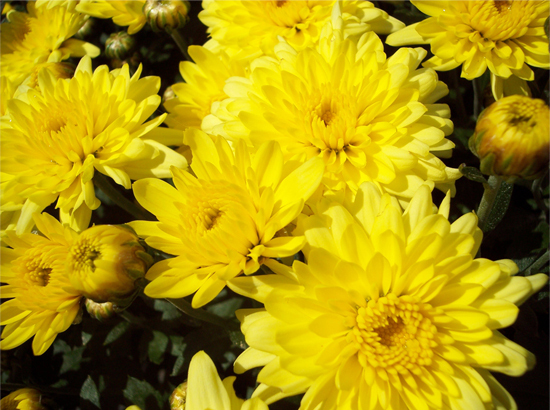 We have the traditional but always popular yellow to brighten your front porch. We have burgundy, orange, and bronze for the contemporary fall look. Additionally, we have purple and white for a nice contrast to the colors of fall. We also have more non-traditional colors of pink, and coral. There are multiple variations of each color. HB Farms grows the full range of seasonal classifications that includes early, mid season, and season extender. 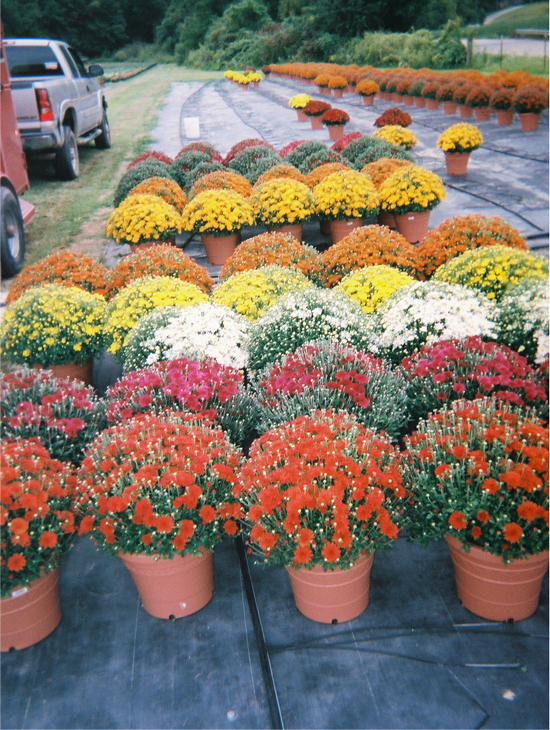 This allows HB Farms to provide beautiful Mums to you from August through October. 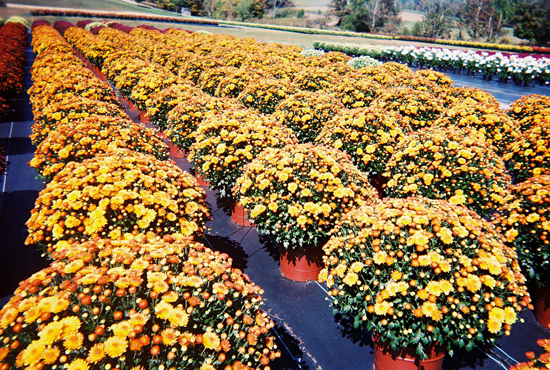 HB Farms Hardy Mums are available in 8" pots, 11" hanging baskets, and 12" Patio Pots. 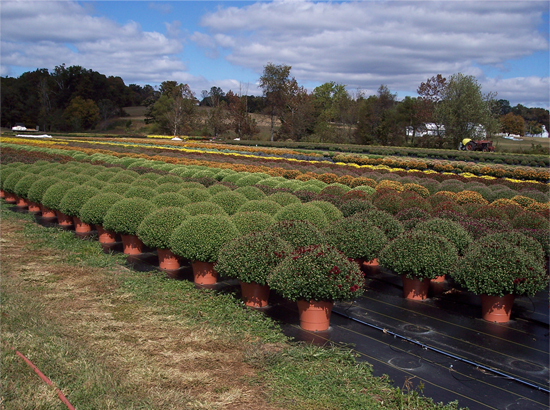 The 8" are perfect for transplanting to your landscape or medium size planters. 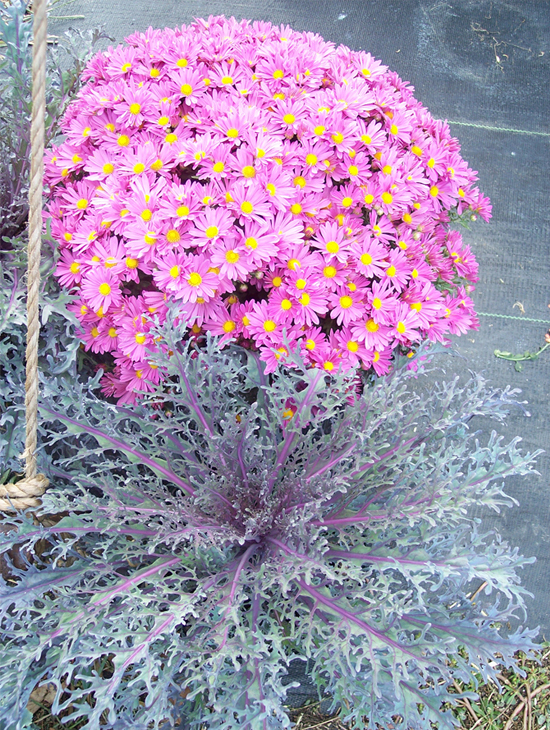 The hanging baskets and patio pots allow you to enjoy Hardy Mums without the work of planting. 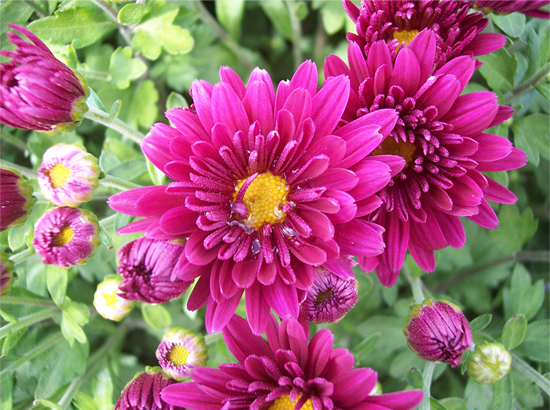 Our fall lineup also includes Hardy Asters. 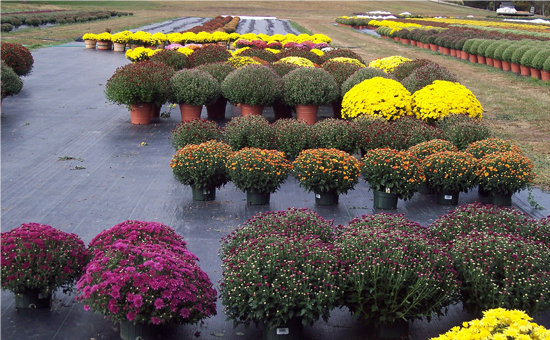 Our Asters bloom earlier than Mums but add several unique colors to our fall offerings. 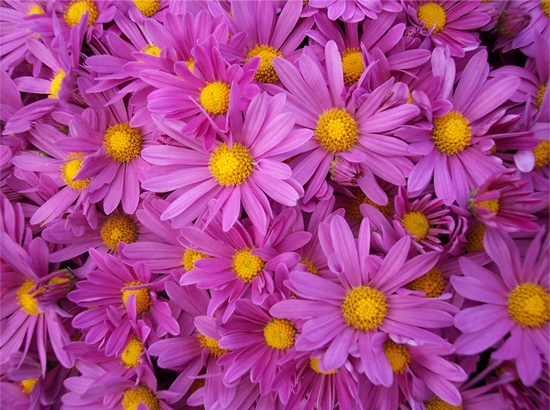 Colors of asters include raspberry, pink, blue, lavender, and white. 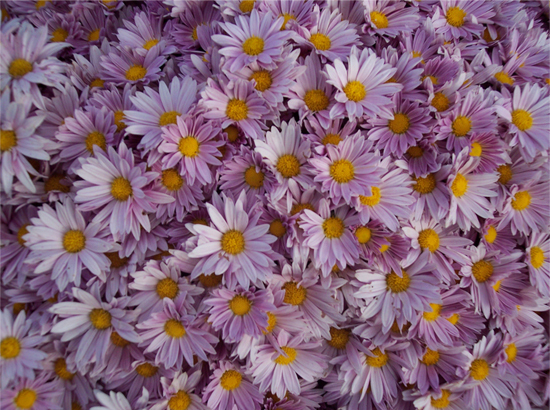 Asters are a nice addition to the traditional mums. 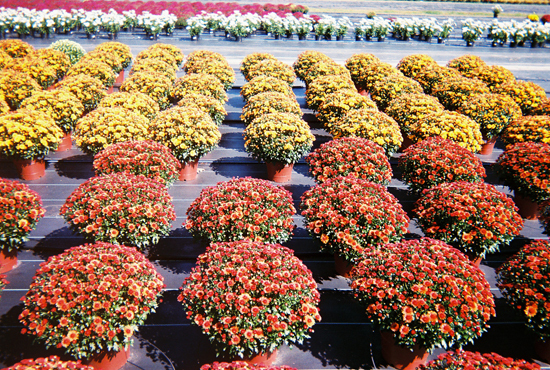 They provide color beginning in mid August through late September. This makes for a nice kick off of color before mums begin to bloom. 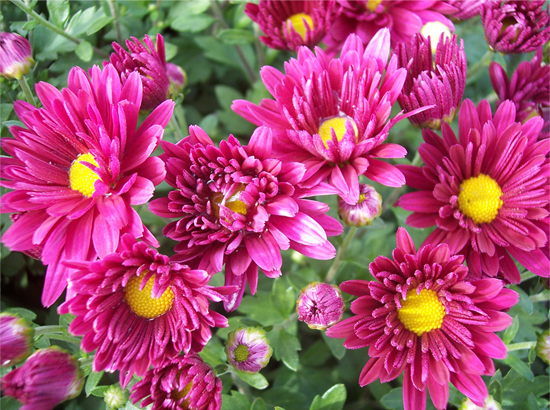 Asters also provide a different overall appearance which is a nice lead-in to the later blooming mum. 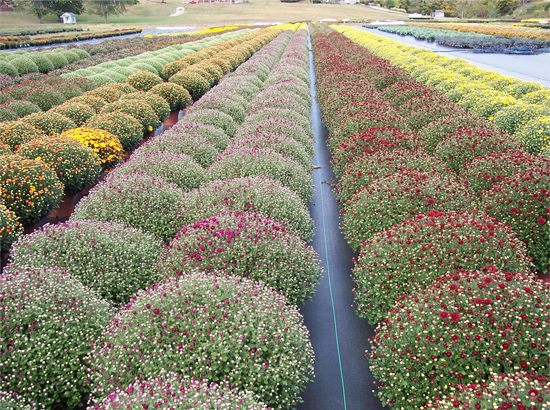 HB Farms Asters are available in 8" pots and are ideal for transplanting to your landscape or garden. For more flexibility, simply drop the 8" pot into a decorative planter and place on your porch! 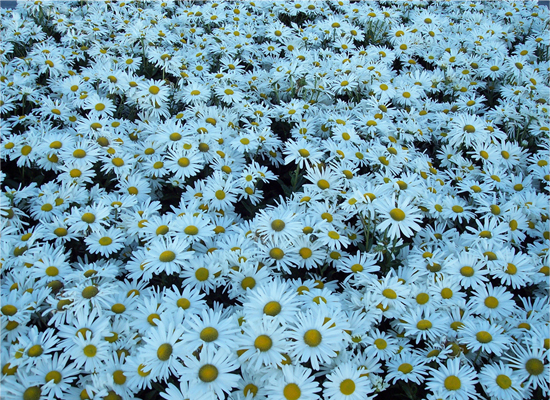 HB Farms also offers Hardy Montauk Daisies. 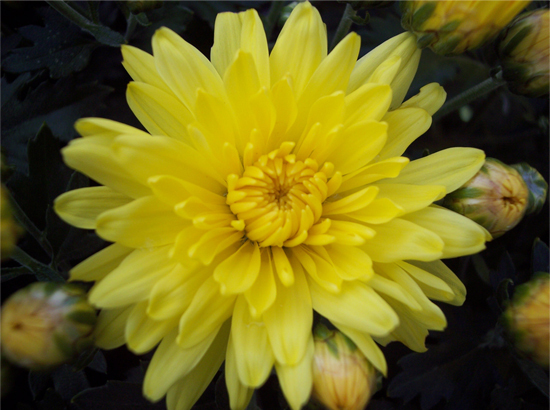 This is a fall blooming daisy with multiple marble-size buds that bloom into a into a beautiful yellow centered white daisy. 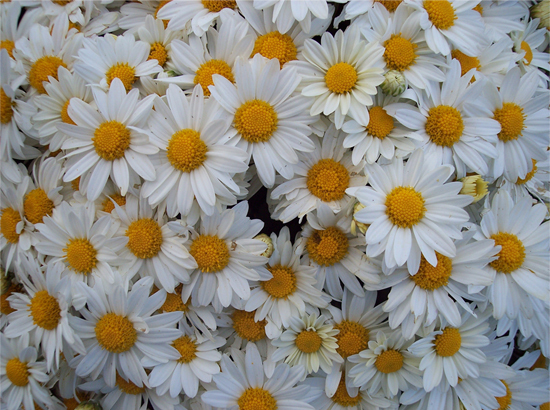 Because of the late blooming, this allows you to enjoy daisies in the months of September & October. If you are a daisy lover, these are a must have! HB Farms Montauk Daisies are available in 8" pots and are great for transplanting to your landscape or for placement into a decorative pot. 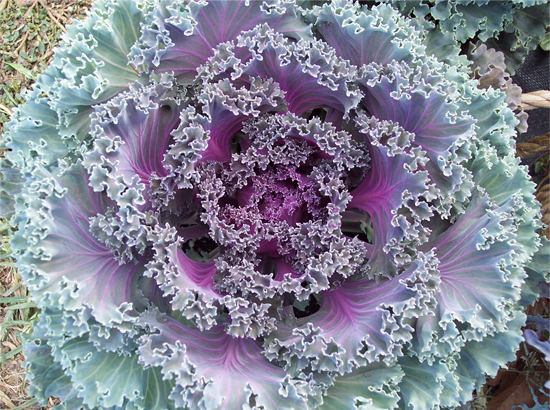 For something a little different, HB Farms offers ornamental cabbage and kale. These are non-edible plants that are not only frost resistant but the cold temperatures actually bring out more color in the plant. They are most attractive when planted in landscaping and hold their color long after the first frost. 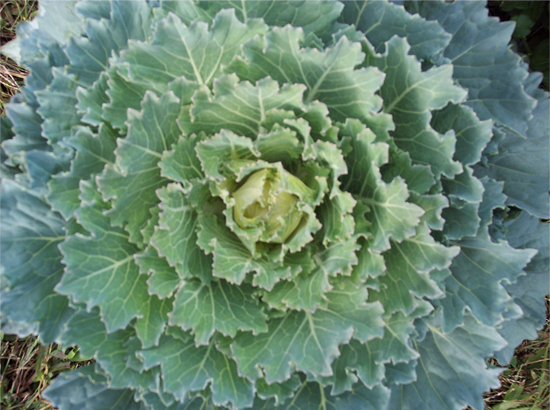 It is not unusual to see ornamental cabbage poking through the first snow! 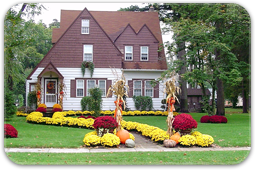 HB Farms makes fall landscaping and decorating a breeze. 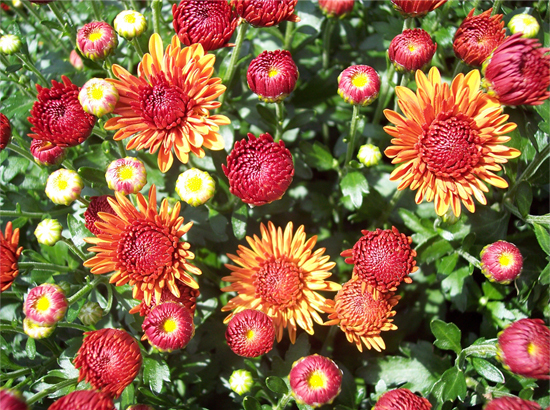 A sidewalk lined with dazzling hardy mums gives a warm and inviting welcome to friends and family. 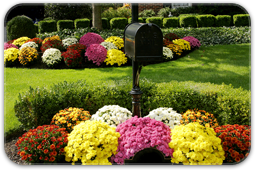 Encircle your mailbox with hardy mums to add brilliant splashes of color for neighbors and passerbys to enjoy. 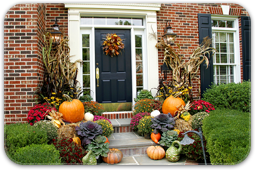 Incorporate ornamental cabbage and kale with pumpkins, gourds and mums from HB Farms to dress up your front porch or entryway. 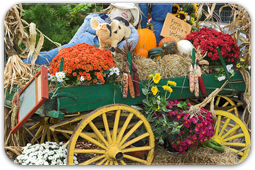 Use your imagination and HB Farms to help you create fun and fanciful fall decorations and displays to celebrate the harvest season.